Here fishy-fishy-fishy… So I’m in Apex during the work-day and that craving hits for some fried seafood. Nothing like taking something totally healthy and making it really unhealthy but delicious, hello deep fryer! 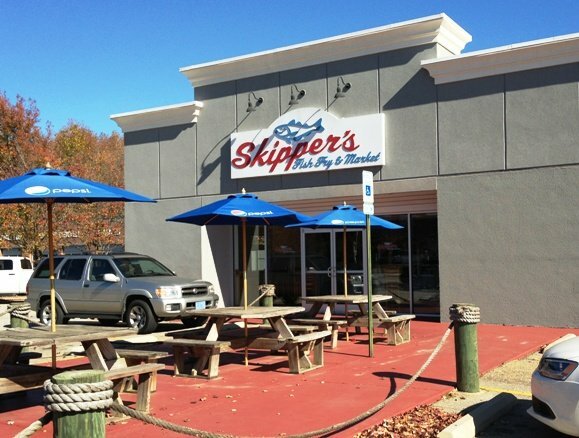 Skipper’s Fish Fry is a very casual quick-food seafood spot. Pull it out of the ocean, dip it in some batter and then the deep-fryer, it’s probably on Skipper’s menu. 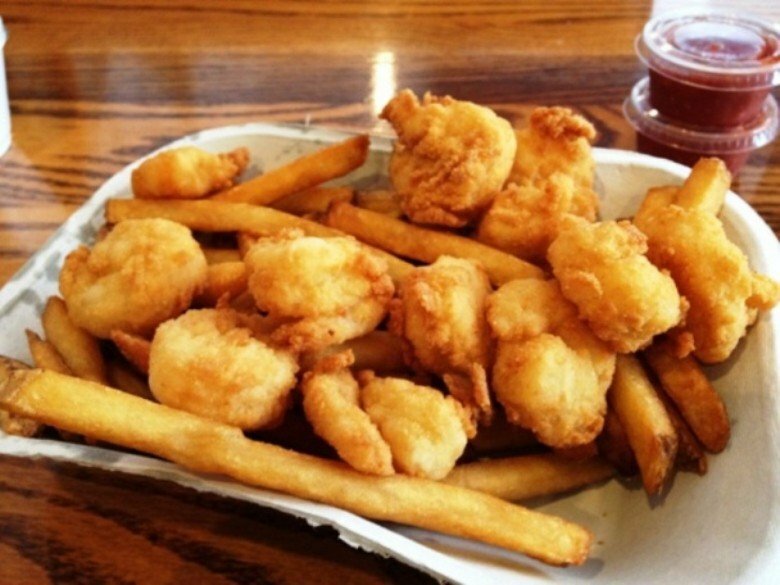 From fried flounder to shrimp, scallops to clam strips and more. It’s a counter order type place with no table service. My plate of large fried shrimp with slaw and fries was about $10.50 or so, and I wanted to see how it would compare to my fried seafood takeout favorite up on Capital Boulevard (Saltwater Seafood and Fry Shack). Ten minutes later I’ve got a little cardboard tray full of well-browned fried shrimp and a nice heaping of fries along with some puppies. Out in the attached dining room there are mostly senior citizens enjoying their mid-day meal in a nautical motif space. Skipper’s does a nice job with their seafood, a medium thick, golden batter with some density. The seafood is definitely fresh, portion sizes were about average which sorta surprises me. I’ve gotten used to big heaping platters of fried seafood and sides, that’s not the case here. The slaw was decent, very finely chopped and a bit sweet. 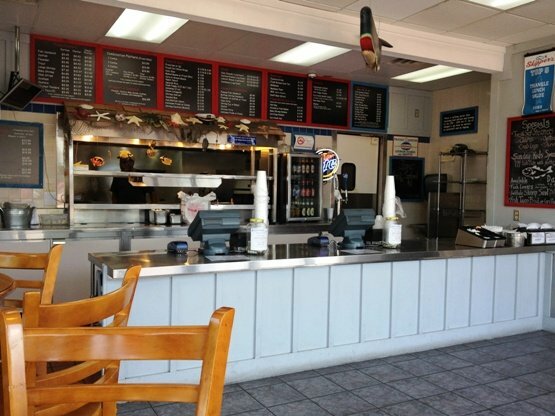 What can I say but if you’re in the mood for some fried seafood, Skipper’s does a decent job. 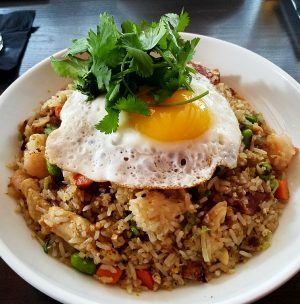 But I think you’ll get more food in most other places, which may be a good thing if you’re watching your health and waistline. Fried seafood is always pretty decent and that’s sort of what I think of Skipper’s: sorta decent. I liked Skipper’s fried shrimp the one time I visited, but the clam strips were quite bland. We were served massive portions. I’d go back.